The camp bed is a portaledge held precariously on the sheer rock face of El Capitan in Yosemite (the ‘big daddy’ at 3000ft or 910m), where two young climbers have spent a night continuing their mission up ‘The Prophet’ – maybe the world’s hardest-ever free-climb route. And 7a is a very tough move with which to stretch out. The atmosphere changes, the tempo of the music increases and the clip continues with a voiceover saying ‘this is the wildest wild climb of them all’. It feels like a matrix world of climbing has opened up where the rules of the usual universe are not quite the same and only a chosen few can cope. 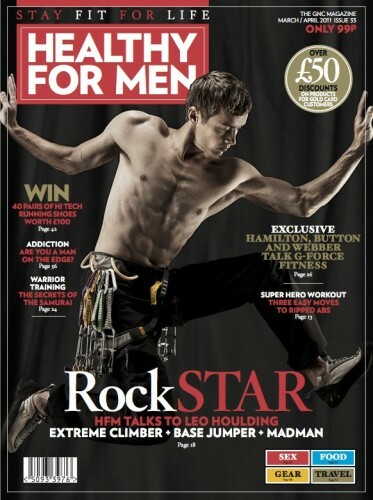 Then ‘The Fly’ – better known as mercurial British climber Leo Houlding – starts his ascent. His ﬁngers delve into a crack, searching for a grip as his feet hold him glued to the wall. He ﬂicks himself up move by move, but falls a couple of times and dangles by the thread of his rope (more like a spider than a ﬂy) as he swears to himself. The third time he makes it further. He pauses before taking on the one of the hardest parts of The Prophet with a very tricky move. He goes for it but loses his grip and suddenly falls 20ft to the portaledge below, knocking Pickles into space. They both dangle in the abyss. Houlding balances himself with his head in his hands, deep in concentration,ready for another go. The clip ends. Even if you have no interest in climbing – even if it’s the last thing you think you will ever try – I guarantee watching this footage will give you an adrenalin rush from your armchair. It’s utterly compulsive viewing – a real, live action movie (The Prophet by Alastair Lee can be downloaded from www.posingproductions.com). In fact, it took nine years and 60 days of climbing to get to this point – and they ﬁnally made it all the way to the top – one of the great endurance free-climbs of all time, built up with years of knowledge of this route up the east side of El Cap. 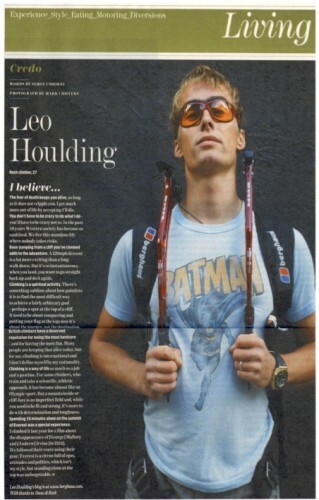 As Houlding says: ‘The Prophet was my Olympics in terms of climbing – it could well be the pinnacle of my career. To pioneer a new free route on Yosemite's mighty El Capitan - the hard way. In October 2010, he finally succeeded on his quest, after one of the longest and most dramatic sagas in the modern history of Big Wall Climbing. 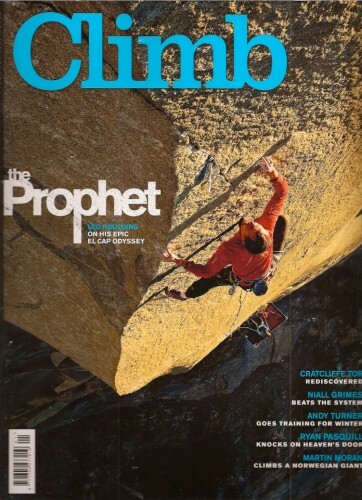 In this Climb exclusive, Leo Houlding tells the story of the Prophet, his epic odyssey on the greatest cliff in North America. The fear of death keeps you alive, as long as it does not cripple you. I get much more out of life by accepting I'll die. You don't have to be crazy to do what I do - you'd have to be crazy not to. In the past 50 years Western society has become so sanitised. We live this mundane live where nobody takes risks. Base-jumping from a cliff you've climbed adds to the adventure. A 120mph descent is a lot more exciting than a long walk down. But it's so instantaneous; when you land, you want to go straight back up and do it again.